A year-long journey for Grandparents with their pre-teen Grandchildren. What is your role in your grandchild’s life? Do you want to take on a more active part in paving your grandchild's Jewish journey? Increasing the power of 'grand' relationships. How can you strengthen your grandchildren’s Jewish identity in a fun and meaningful way? Today's grandparents tend to be healthier and more active. Therefore, they are increasingly involved in their grandchildren’s lives compared to previous generations. This creates a 'grand' opportunity for valuable inter-generational communication and relationships. Grandparents are a pivotal and untapped resource in transmitting to younger generations the value of a committed Jewish life. In light of this new reality, we've created a unique program utilizing the Partnership2Gether platform specifically relevant for grandparents and their grandchildren. The G2: Global Intergenerational Initiative is an innovative year-long Jewish experience to explore meaningful connections, family narratives and legacies around Jewish experiences. We just completed our pilot year with the following communities: Miami, FL, Cincinnati, OH, Greater MetroWest, NJ, Yerucham, Netanya and Arad. Currently, we are launching our second cohort in Milwaukee, WI, Pittsburgh, PA, Rochester, NY, Broward County, FL and Sydney, Australia together with Sovevei Kinneret, Karmiel, Modiin and Nesher. We invite you to join our journey and look forward to hearing from you. Connection to Jewish grandparents is an important predictor of a wide variety of [positive] Jewish attitudes and practices in later years. G2 is built on four program pillars. 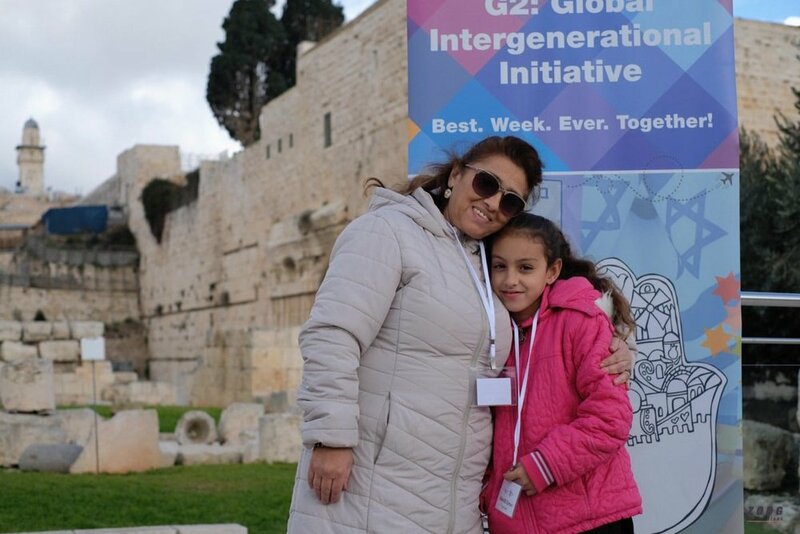 The G2: Global Intergenerational Initiative explores meaningful connections, family narratives and legacies around Jewish experiences all while building stronger grandparent/grandchild (GP/GC) relationships. G2 will provide a platform for grandparents to transmit their values and values to their grandchildren through discussion-oriented activities and informal Jewish experiences. In a fun and engaging way, G2 will inspire pre-teens as they embark on the journey of Jewish adulthood. Participants in G2 will connect with other grandparents/grandchildren in Israel and fellow cohort members throughout the world. This will be a truly global experience! G2 culminates with an incredible Global Israel Experience where all participants unite in Israel for a week, creating memories that will last a lifetime.